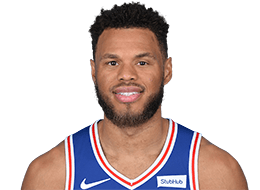 In Atlanta, Justin Anderson makes a great read at the end of the half to take away a Trail Blazers bucket. Al-Farouq Aminu sprints to the rim as Seth Curry controls in transition. Anderson does well to anticipate the alley-oop pass from Curry to Aminu and meets him at the rim for the denial. And that’s your Heads Up Play of the Day!